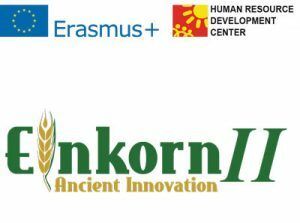 After France (1835), England (1843), Sweden (1847) and Germany (1852), Bulgaria fifth in the world marks the beginning of agronomic research with the creation of the First Experimental Field (1882) and Agricultural Experimental Station (1902) in Sadovo whose successor is IPGR. During the period from 1882 to 1902. „The test“ field in the Agricultural School highlights a number of problems with introduction of new and unknown crops for our agriculture at that time – cotton, peanuts, fodder and sugar beets, hops, alfalfa, clover. Considerable research is done together with introduction of foreign varieties of wheat, rye, barley, maize and parallel study of local plant resources. 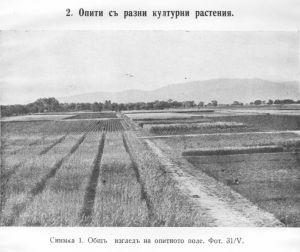 In September 1902 the Agricultural Experimental Station in Sadovo was officially opened and this completely new turning point in the development of agriculture in our country. 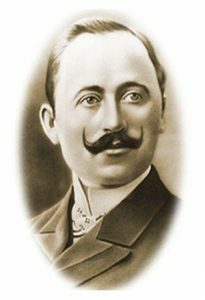 By taking the management of the Experimental Station in Sadovo, Konstantin Malkov have done active research work, resulting in publishing in Bulgarian and foreign magazines around 50 scientific and popular articles and brochures on phitopathology and received international renown. An enormous work is done on the study of cultivated plants, spread in our country, as well as for introduction of new crops and varieties from other countries. Until 1905 the Experimental Station in Sadovo is the only one in Bulgaria in the area of field crops and that explains the wide range of cultures in its scientific theme of this initial period. Work comprises almost all cultures by developing and breeding activity. In 1910, the station creates seed production farm, which for a short time reproduce large volumes of elite seeds of different crops for the needs of farmers throughout the country. The station establishes connection with various research institutes abroad. After a period of rapid development the research work a time has come to a standstill.This coincided with the Balkan and the First World War and continued until 1922. The station is devoided of energetic staff to undertake and carry on the work of pioneering scientists. During this period there were no conditions for scientific activity and the efforts are directed at conserving and preserving the achievements of the Agricultural Experimental Station. There is a time of organizational consolidation, laboratories are being built, the experimental field is expanded and equipment is delivered to the needs of the agricultural process. Breeding activities started in a big number of important agricultural crops such as wheat, rye, barley, beans and research on the technology of their cultivation were done. The increasing of the scientific potential contributes to expansion of research topics. The active introduction greatly enriched the collections of wheat and oilseed crops. The breeding-improvement works with them becomes very active. Valuable wheat varieties, which are resistant to common country races of brown rust and black rust, were selected. 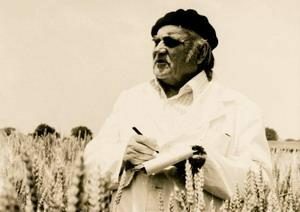 There were created and divided barley varieties – №196 and №347; beans – №186; rye – №362; corn – Sadovsko Kaba, chickpeas – Uzundjovska; peanuts – Sadovski standing. After 1935 wheat is the main crop for which breeding activity is done and reproductive hybridization is applied. Created are the high-productivity wheat varieties Dunavka, Maritza, Sadovsko, Okerman, rye 019, cotton variety „Malkov“. The whole period of development of the station from 1923 to 1944 stands out with anunabated rise in the research work and outlining of the station as an essentian place where problems of breeding of wheat and some other important for our country crop are worked out. The main scientific activities during this period are related to the breeding of wheat varieties and creation of new varieties, providing high yields for the specific ecological situation for South Bulgaria. The improvement work is focused to the southern oilseed crops – peanuts, sesame and poppy. Investigations are conducted in agrotechnics of these crops. During this period in the Experimental Station were selected the wheat varieties Jubilee 1, Jubilee 2, Jubilee 3, Okerman 17, Nadezhda 2, Hebros, Sadovo 1. It is well known that by Sadovo 1 variety our breeding is aligned with the supreme achievements of world breeding programs for many years and remains the leading variety for Southern Bulgaria. Besides wheat varieties highly productive varieties of rye, new for the country were created – №53, №70 and №62; cotton – №1017,1008, 1-66-51-15, 1-75-51-17; sunflower – C 1957, peanuts – №1011, №1717, Velikan; poppy – C188, P360; and sesame – White Sadovski 857, Sadovo 1, Sadovo 2, Sadovo 4. The agricultural equipment of the station during that period is very rich and modern. After 1965 a specialized laboratory was built to work with wheat. Also Vegetation House for phytopathology, 2,5 acres Steel-Glass House to reduce the breeding process, place for storage of seeds, fixed station for yield programming of wheat, utility building with canteen and dormitory and other buildings were made. Laboratories of cytogenetics, agricultural chemistry, technology of grain and chemical plant pathology for determining alkaloids in poppy are established. Land areas are increased and is built an experimental base with the various departments of the station. 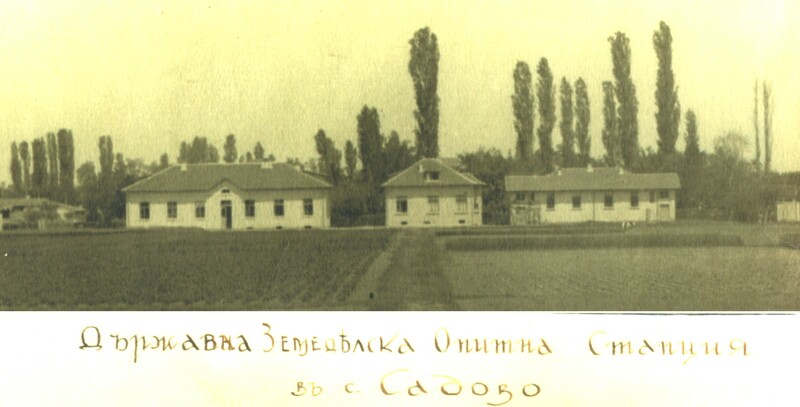 In its historical development the agricultural experimental station in Sadovo had the following names: State Agricultural Experimental Station (1902-1920), the State Regional Experimental Station (1921-1926), the State Regional Agricultural Experimental and Control Station (1927-1942), the State Agricultural Experimental Station „K. Malkov“ (1943-1953), Agricultural Experimental Station „K. Malkov“ (1956-1977). In 1977 is created the Institute of Introduction and Plant Resources, which in 2001 was later renamed the Institute of Plant Genetic Resources „K. Malkov“. Scientific directions of IPGR include research, application and service activities in the field of plant genetic resources, breeding and biotehnology. During this period was established the National Seed Genebank, botanical garden, computer center, herbarium and the laboratory of plant biotechnology.